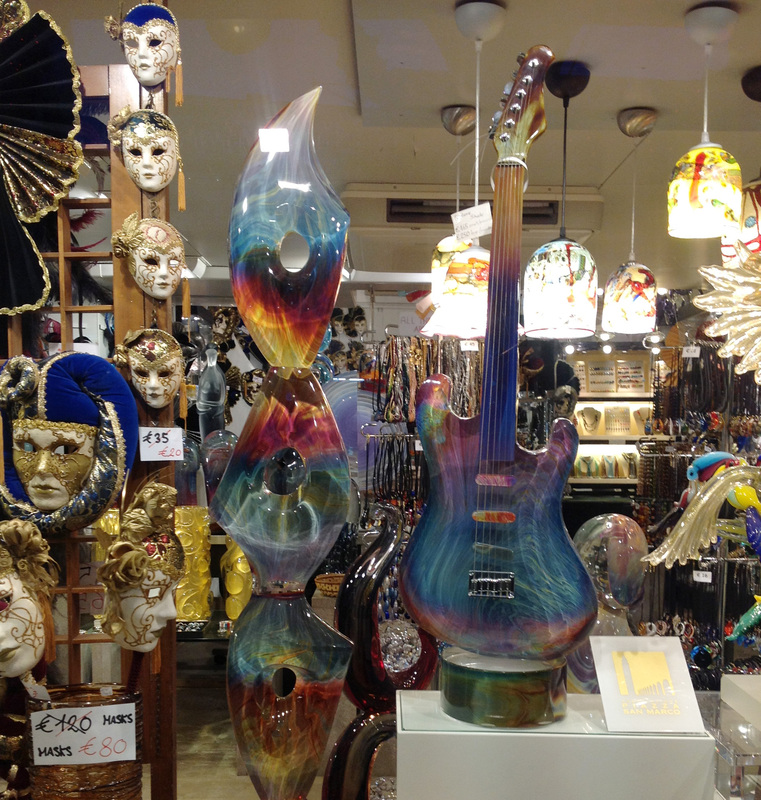 Calcedonia Murano Glass was developed in Murano during the mid fifteenth century. In the glossary of glass, written in Murano, Angelo Barovier is attributed with developing this polychrome glass in 1460. The secret of this glass was closely guarded and entirely lost when the Venetian Republic fell. It was once again rediscovered by Lorenza Radi in 1856 but by the 20th Century none was in production. It is widely acknowledged that Loredano Rosin mastered this technique in the 1970s and his pieces are still on exhibit around the world and in private collections. His untimely death from a boating accident was a blow to the artist community. Fortunately, his brother Dino Rosin has carried on the family tradition and has continued to perfect this glass in large and beautiful glass sculptures. You can often find Dino Rosin sculptures available at very hefty sums on ebay and in fine galleries everywhere, just search for the name, Dino Rosin. Today there are several well known masters who create sculptures in this unpredictable glass. For all of us in the Venetian Bead world, we are fortunate that there is another furnace who produces (with proper begging) canes of this unpredictable glass which we can chop and use in beads. However, this is a difficult production and we can only get small quantities made – never knowing what color will arrive. We all dream of the blues and aquas…and sometimes we get it. The amazing, never the same, colors are produced by adding silver nitrate to the glass and the colors are affected by the humidity, the heat, and factors we don’t understand. The glass begins as salt, soda, sand and minerals days before the glass master is ready to work. The recipes for glass depend on very accurate measuring and minerals of the highest quality. Any small difference will result in color changes or in glass which does not react well in the flames when the beads are being made. It pops and cracks. The Calcedonia has a mind and life of its own, the colors can not be reproduced with any certainty. They continue to turn colors in the flames as the beads are made and even after the beads are in the annealing oven with the silver nitrate reacting to the heat. We must enjoy each batch of beads for what they are: unique little jewels! ← A place for everything, and everything in its place?